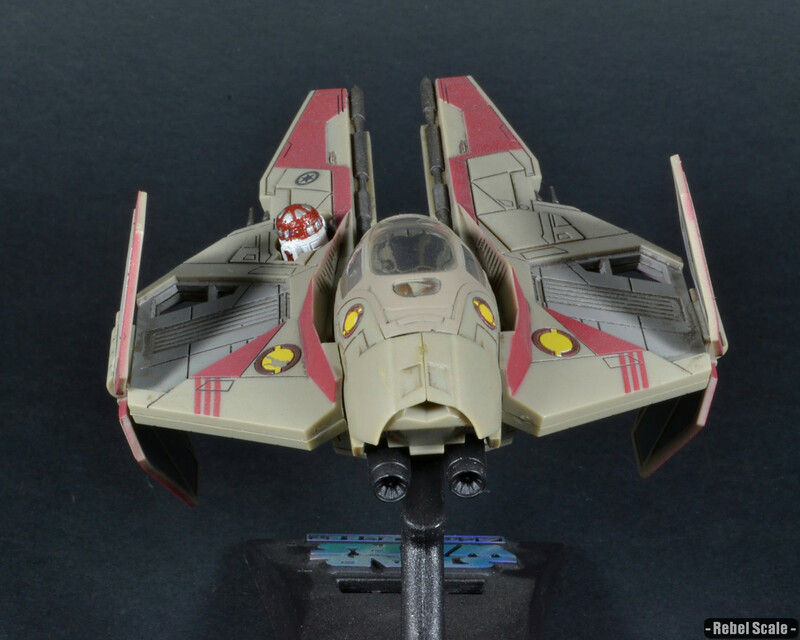 As with Anakin’s Jedi Interceptor, this began as a Revell Pocket model. These kits are snap together and come in a decent pre-painted state. 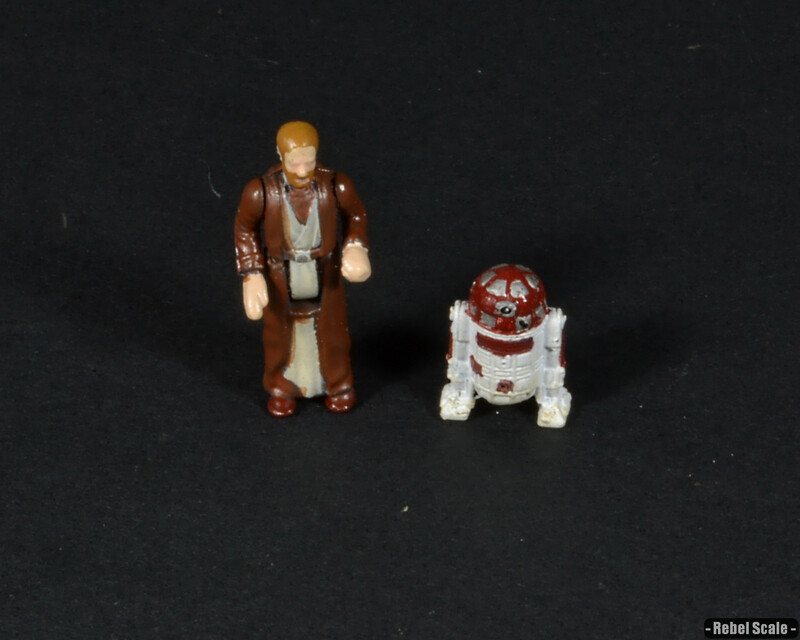 However, the figure and droid are solid plastic. 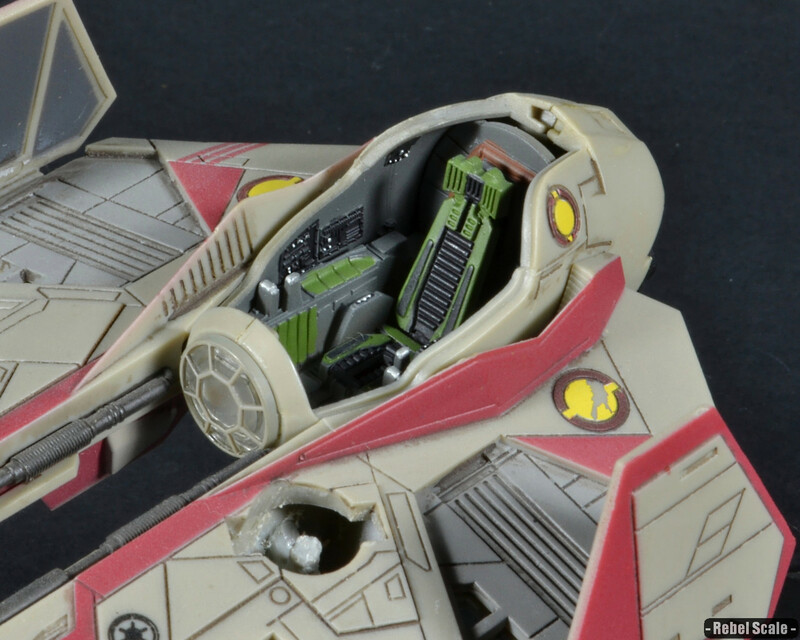 Furthermore, the wings are fixed in an open position. For this custom, I rearranged/glued the wings in the correct position. I also hollowed out a space for R4 and added a rod for her to connect to. Painting was minimal. 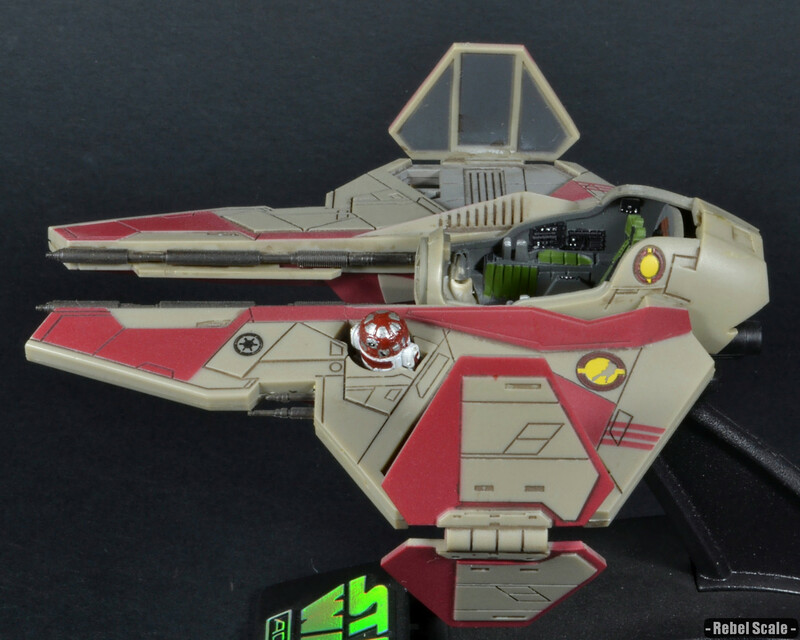 I hand-painted the cockpit interior, as well as a few highlights on the hull. I then gave this vessel a basic wash weathering to make it look a little darker like the film version.. 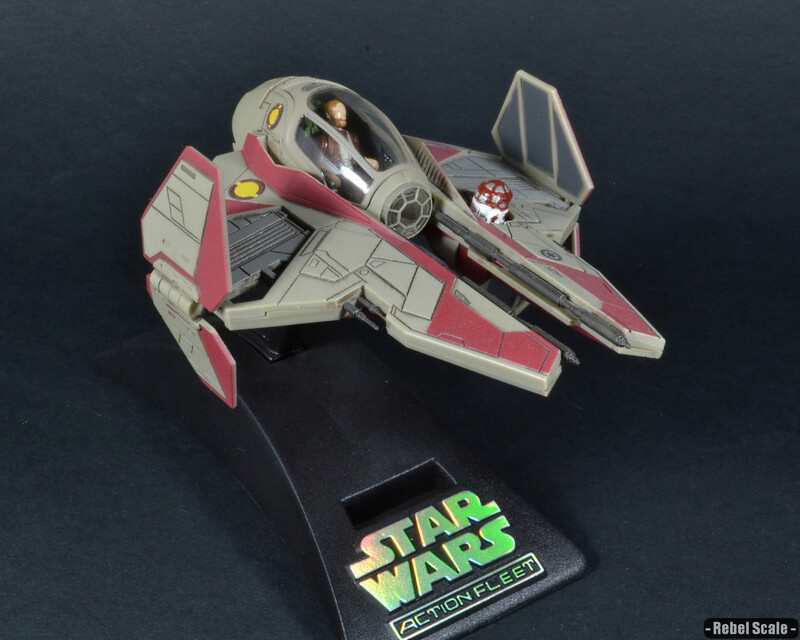 This red Jedi Interceptor was used by General Kenobi during the Battle of Coruscant. It was lost aboard the Invisible Hand when the cruiser’s tail section tore apart. 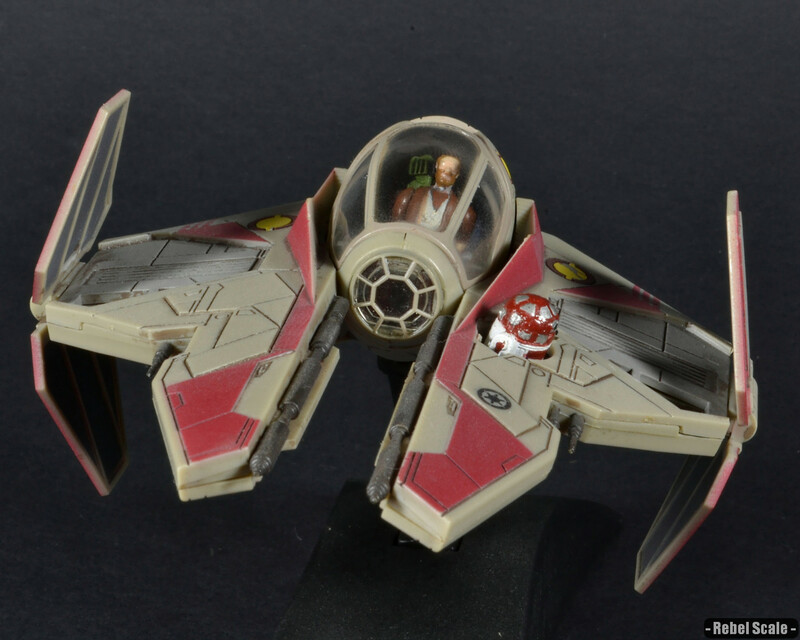 Kenobi’s R4 unit was lost earlier in the battle due to a Buzz Droid attack.